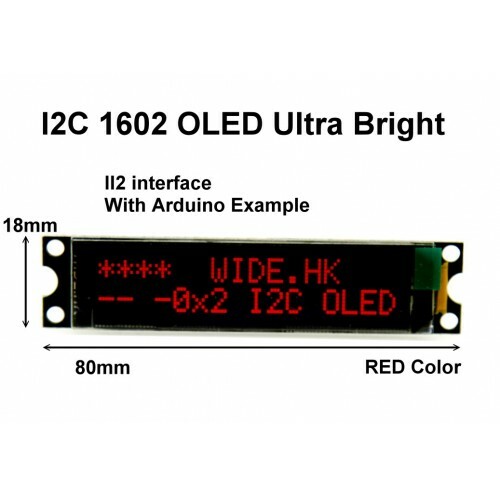 This is another great Red OLED display without extra backlight and save the power. 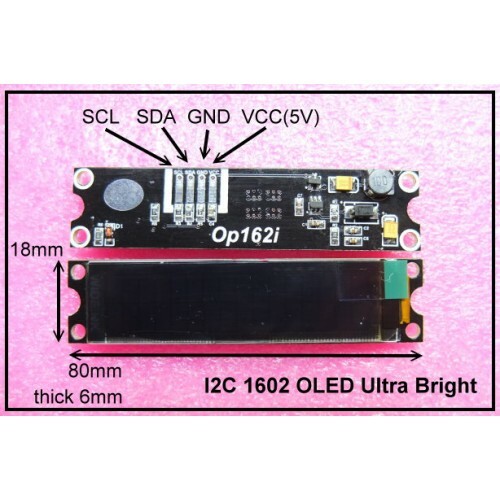 As the pin resources of Arduino controller is limited, However, with this I2C interface OLED module, you will be able to realize data display via only 2 wires. 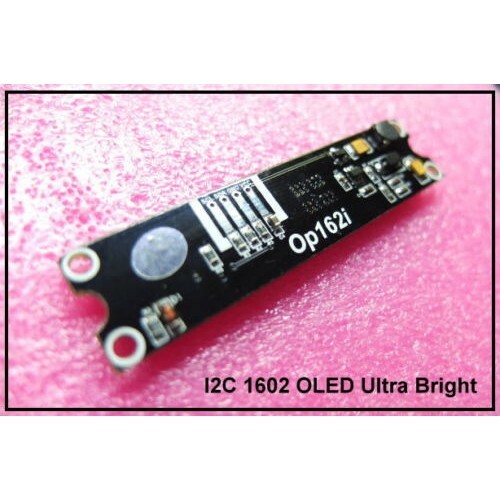 If you already has I2C devices in your project, this OLED 1602 module actually cost no more resources at all.